By conservative estimates, about 54 million adults have been medically diagnosed with arthritis. Nearly 300,000 children and babies have arthritis or a rheumatic condition. The most common type of arthritis is osteoarthritis, which affect an estimated 31 million Americans. 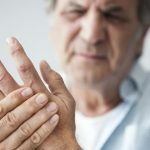 A study in the European Journal of Pain used an animal model to determine if CBD could help people suffering from arthritis manage their pain. Researchers applied a topical salve containing CBD to rats with arthritis for 4 days. Their researchers noted a significant drop in inflammation and signs of pain, without additional side effects. Many people using CBD oil for arthritis are experiencing relief from their pain, and more human studies will soon confirm these claims. PreviousPrevious post:Can CBD help relieve chronic pain? NextNext post:CBD treatment for insomnia and other sleep disorders.